Suppliers & installers of a range of renewable energy products. 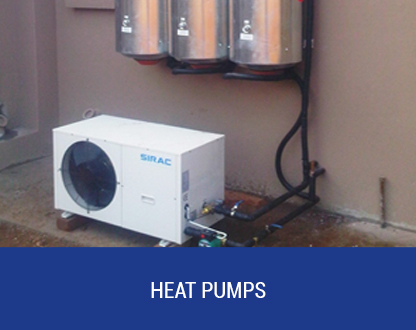 Geysers, Heat Pumps, Photovoltaic systems and other energy saving devices. WITH Years of experience and thousands of successful installations behind us, Solar Focus has to be at the top of your list of service providers in this industry. Solar Focus specializes in servicing the Mpumalanga lowveld and escarpment region including : Nelspruit, White River, Hazyview, Malalane, Komatipoort, Barberton, Sabie, Dullstroom. We pride ourselves in offering excellent technical support after installation of Solar water Geysers, Heat Pumps, Photovoltaic systems and other energy saving devices. 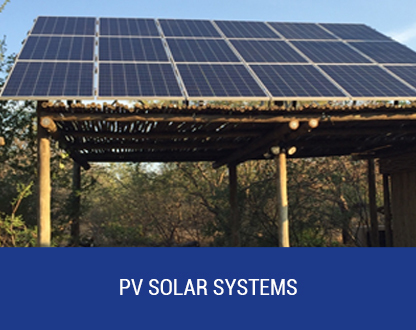 Solar Focus is actively helping companies and individuals in and around Nelspruit and White River, to reduce their dependence on South Africa's sole electricity utility , Eskom. Solar Focus is a supplier and installer of a range of renewable energy products suitable for both domestic and commercial applications. 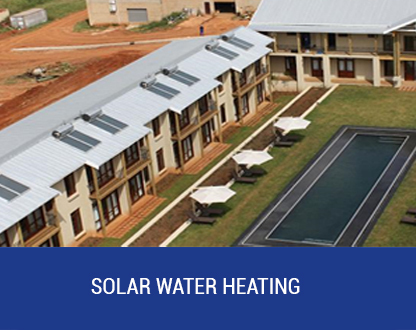 Products offered include Solar Water Heaters, Heat Pumps, Solar Power Systems and LED Lighting Solutions. With years of experience and thousands of successful installations behind us, Solar Focus has to be at the top of your list of service providers in this industry. We have learnt from our mistakes and persisted with sometimes blind determination. We now proudly regard ourselves as the leaders in solar thermal installations in our region. Solar Photovoltaic solutions was added to our product offering in 2012 and, with the support of highly experienced suppliers, we have a number of successful installations in operation, ranging from small load shedding solutions to executive homes to an off-grid mining village to a 25kWp grid tied system for a school. The Obvious Reason - Electricity costs money.... and it’s not getting any cheaper. The Sun provides FREE energy that you can capture and use to reduce your electricity bill each month. Yes, there’s an initial capital outlay to install the necessary equipment, but you will recover your investment within as little as 2 years through reduced electricity costs. It’s also comforting to know that you will gain some independence from the Eskom grid and not necessarily be stuck in the dark when the power goes down. You can have battery power for anything from a few lights to your entire house. Your security systems can still be protecting you when the power is down. And you can still watch your favourite television programme or that vital rugby match that you’ve been waiting for. Your decision to make use of solar energy to reduce your dependence on fossil fuel generated electricity makes a positive contribution towards reducing the impact of global warming. Solar Focus is a supplier and installer of a range of renewable energy products suitable for both domestic and commercial applications.